accidental flame from spreading throughout your commercial kitchen. kitchen and to protect your business from a fire that could very well put you out of business. pulling it up through the ductwork where these particles tend to collect. by a pro team like Los Angeles Hood Cleaning. 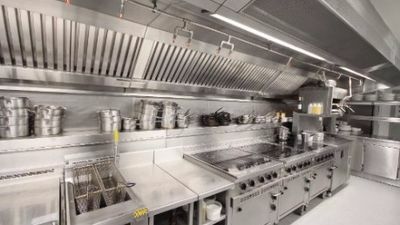 the entire system, we’ll design a restaurant exhaust hood cleaning regimen that fits your specific needs. key in getting the surfaces completely clean without doing any damage. the cleanliness of your exhaust system, inside and out!